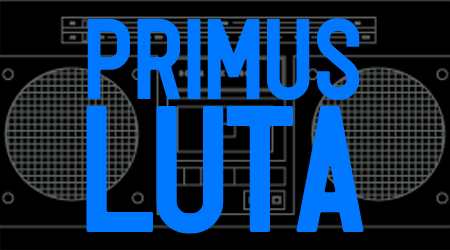 Primus Luta, our man on the East Coast, returns for another instalment of the RIPL show with an hour and a half of fresh new music from around the world. On the show this month Primus airs new music from Dobie, Gemmy, Groundislava, Gold Panda, Howse, Kawakami Kohei, Beaumont, Swindle, Sonnymoon, Kowton, VIVEK, Oh No, Jeremiah Jae and more, taking in everything from eyes down dubstep skankers to raw rap beats and beautiful electronica. There’s also a mini feature on his newly launched CS2 Recordings label with three tracks from the Between The Cracks compilation which is out now. As always you can listen and/or download below or simply subscribe to our RSS/iTunes feed and never miss a show. Stay tuned for an exclusive guest mix on Friday from H-SIK. This entry was posted on Monday, June 25th, 2012 at 7:14 pm. It is filed under Podcasts, Presented by Primus Luta and tagged with Lorn, DOOM, El P, Gemmy, Dobie, Oh No, Swindle, Sonnymoon, Gold Panda, BD1982, VIVEK, Groundislava, Jeremiah Jae, 14KT, Howse, Perc, Kowton, OCEANIA, Pedro123, Kawakami Kohei, Beaumont, Tensei, Volor Flex, HPrizm, Adam Bomb, zeroh, Ethel Cee, Billy Woods, Bigg Jus. You can follow any responses to this entry through the RSS 2.0 feed.